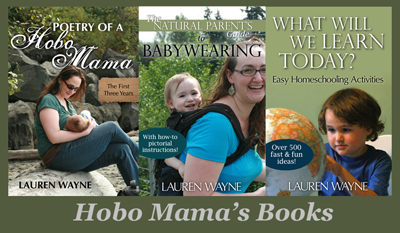 Hobo Mama: To donate or toss formula samples? I have two canisters of baby formula sent to me for signing up on some mailing list or another during my two pregnancies. The first came right after my miscarriage, which was nice timing. I don't know why I didn't do something with them right away, but I went ahead and packed them with the other baby things and even took the trouble to move them to our new apartment. They felt like my dirty little secret, and I feared that if I could see them at all that they might sabotage my resolve to breastfeed, so when I was putting away baby things in anticipation of Mikko's birth, I secreted them in a box in the closet and made sure to tell Sam where they were -- "in case I die," I said they were for. Well, so far I'm not dead, and I'm contemplating what to do with them. If I procrastinate long enough, they'll expire and I'll have to get rid of them, but I was thinking I should decide before then. 1. Throw them in the Dumpster to stick it to the formula companies for inundating pregnant and new mothers with samples and literature designed to promote formula feeding and downplay breastfeeding, against their own stated resolve. 2. Give them away since I won't be using them (barring my untimely demise in the next four months, at which point Mikko can start drinking other milk if I kick the bucket, poor little creature). So, my problems with choice #1 are that it's wasteful (I'm a very thrifty soul) and possibly ungenerous. It's free and I don't need it, and here I am hoarding it for myself while other mothers who do buy it for whatever reason could be using it. The problems with choice #2 are manifold, mostly philosophical and suppositional. Will seeing this free formula at a food bank convince a mother who otherwise would breastfeed to give formula a try? Even if this theoretical poverty-stricken mother had already decided on formula feeding, will the absence of my formula make her reconsider breastmilk since formula is so expensive? But if she doesn't get my free formula and goes ahead with formula anyway, will her purchase of that mean giving up something else important for her baby, like paying the heat for that month? What if it's a mother who was trying to decide between pumping and formula for when she goes back to work, and my free formula tips her over to the formula side? Maybe the best question is, why am I so worried about my two stupid cans? Ok, but it's an issue not just for me but for all breastfeeding mamas who get these free samples, from a hospital or through the mail or, shockingly, from a doctor. Where, ideally, should all these unsolicited sample cans go? Now that I'm considering it, I'm thinking maybe the best recipient of the formula would be someone you know who's already using it and has no intention or capability of starting or returning to breastfeeding, or of procuring (enough) breastmilk elsewhere. I'm thinking of the mama of an adopted baby that I pump milk for, who collects as much as she can from donors but has to supplement with formula. But, then, she's well-to-do and can afford the formula -- should it instead go to someone in a similar situation who's very poor? I don't know anyone offhand, and I'm not sure there would be enough of such ideal recipients around for that to be a solution for everybody's free samples. Choice #3 is, indeed, to mull over this long enough that the formula expires. But if you have any good ideas, be sure to let me know.